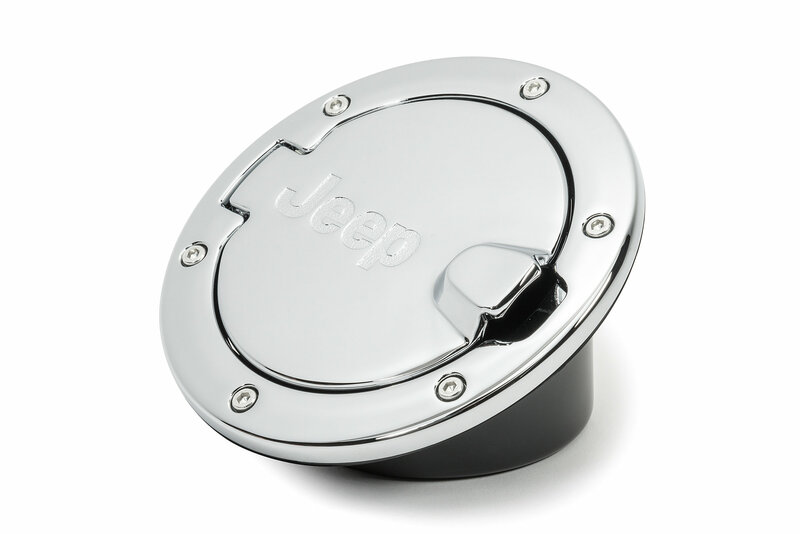 Fuel Door Hatches for 07 Wranglers are machined from longlasting billet 6063 T-6 aircraft aluminum. Easy, no-drill installation takes less than five minutes and uses existing mounting points and hardware. The compact, concealed cam-action hinge and corrosion-resistant hardware provide years of smooth, trouble-free operation. 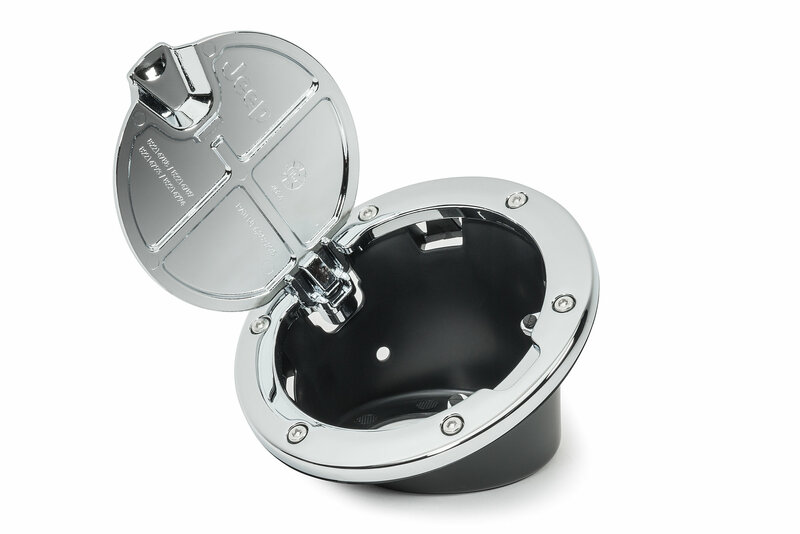 Available Chromed or Black Powder Coated Aluminum, these great-looking fuel doors resist scratches, chips, dings and weathering for a long life. 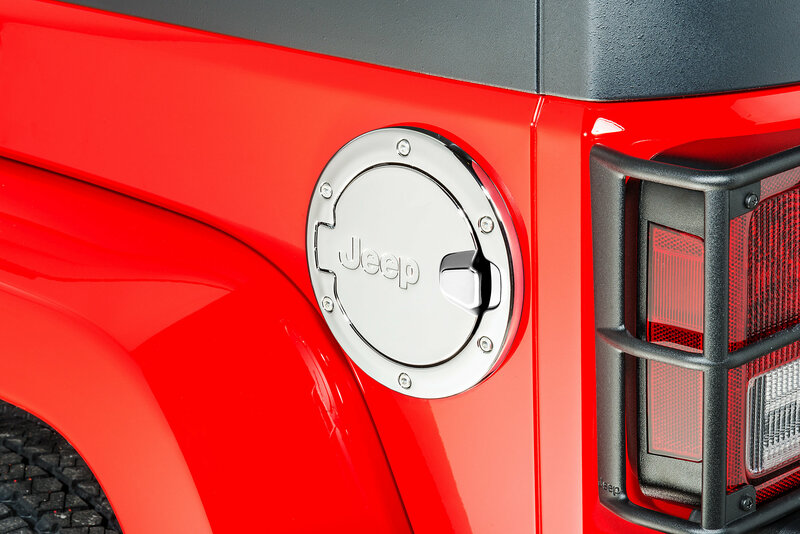 Give your vehicle a sporty look by adding a Chromed or Black Powder Coated Aluminum Fuel Filler Door. Easy No Drill installation, Smooth door operation, and meets all Chrysler corrosion standards. Easy install, took all of about 15 minutes. Should come from the factory with either a black or chrome cover such as this.